The Windows Vista™ operating system provides built-in support for a fast system startup experience that boots or resumes directly into media or other applications. This support, called direct application launch, is possible on PCs that are running Windows Vista by making simple changes to platform firmware and underlying platform wake circuitry. This paper describes the changes in platform hardware and firmware to support direct application launch that is based on button-press or wireless receiver events. It provides guidelines for system designers and firmware developers to implement platform support for direct application launch on PCs that are running Windows Vista. does this means that Samsung is getting rid of the AVS Partition in the net generation of Q1 with Vista installed? Steve at OrigamiPortal has found a few pictures of the Amtek newest UMPC, the T770 running Vista! This unit is using again a VIA processor but running at 1.2 GHz. BTW, thanks Steve for your nice words about me! I hope that many OEMs are reading you! What a coincidence! Just a few hours after I posted my workaround to get the Q1 recognized as a Tablet PC, Samsung has released a BIOS update. I do not have my power supply with me so I can't install it right now. So I really do not know if that will fix the issue with our Samsung not being recognized as a Tablet PC. I hope this is what it does. Anyone can confirm this? In addition to these products, many more Dynamism.com next generation consumer electronics will be presented in the near future at Bestbuy.com. Founded in 1997, Dynamism.com drives the most advanced consumer electronics technology from Japan and around the world to the U.S. market. The retailer couples next-generation products—ultralight performance notebooks, subnotebooks, slimtops, PDAs, phones, and other gadgets—with premium customer service, including lifetime toll-free tech support and 1-year FedEx rescue service. For more information, please visit www.dynamism.com or call 1.800.711.6277. Yeap. Even the automatic learning feature from my handwriting is working. The Tablet PC keyboard appears automatically when I log on in my Q1, so everything is in the same way it was with XP. 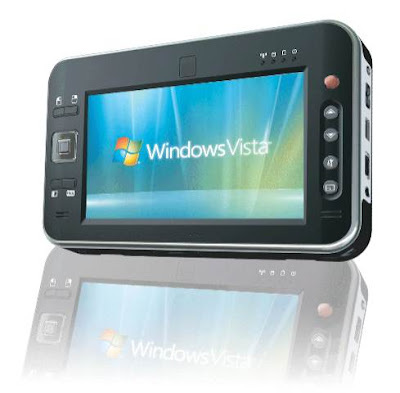 It did not make sense to me that without HID Drivers, the Q1 was recognized by XP as a Tablet PC and now with Vista it was not. So a little search in the registry gave me the answer. The only problem right now is that these registry changes do not survive if you reboot the machine, but if you like me hibernate your unit the whole time then you are ok. Once in a while if you reboot your machine you will have to run the .reg file again and go to your Control Panel, Tablet PC settings and check again the option to learn automatically from your handwriting. 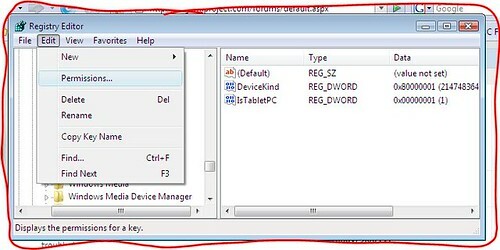 If there somebody that can write for us a little service changing this registry key that probably will be perfect because the service should run before the system is completely up, and that's probably what Samsung did under XP. Of course, with HID drivers things are going to work even better but in the meantime we have a workaround to trick the system letting the OS think that we have a Tablet PC. So yes, that's the news, my Q1 is back in business! Ok, one thing that I missed a lot in my Q1 with Vista is the Ink Tool Button is Office 2007. Well, I got it back! How? Hacking the Registry! 1- Open the registry editor. Change it for both users groups. There is only one problem; these changes are not kept once you turn off and turn on the Q1. The permissions are kept but not the new values. One possible solution is to copy this VBScript file into your start up folder. (I´m currently looking for a way to run the VBScript file before Vista Log on Screen as a policy or a service). As you can see Samsung, we will find a way to make it work with or without your help. did I ask this before? ... I'm sure I did. Well, we are ending this month of February and we have not seen Vista Drivers officially released for any of the UMPC currently in the market. What I have seen is some of the companies starting to sell their UMPCs with Vista installed. This is the case of Samsung whose Q1p is listed now at CDW to be released in 10 days and the "new" Asus with Vista, spotted for sell in this UK store. If you are a network administrator you have to read this. A spectrum analyzer is an indispensable tool for investigating and troubleshooting a corporate wireless network. 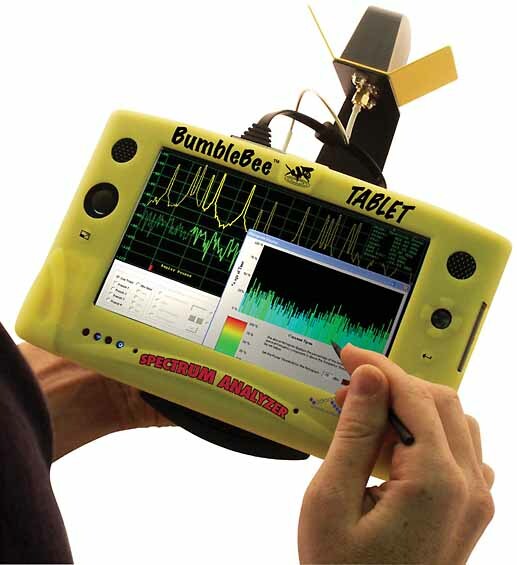 Intended for use by engineers, installers, and technicians needing precise measurements under field conditions, BVS (Berkeley Varitronics Systems) has introduced its Bumble-Bee-TABLET spectrum analyzer. But this is the part I like most, check this picture and what we have in there! That's a Samsung Q1p using one of those skins that I reviewed here. One thing, this is the first time that I have seen an application using the CF slot of the Samsung Q1! Microsoft has posted a list of applications Certified to run on Vista. The list is good the only bad point is that there is not any link to those applications so be prepared for a long section of Google Search. Here is a summary of how to install Vista in a Q1. Would be a perfect guide if links where provided to each drivers. And like I said there "The only thing that I´m missing is how to get back the Ink Tool button in Office 2007, how to make Vista to learn automatically from your handwriting and the last but not less, how to make Flicks to work. If we can get all these things working then we will have a perfect machine running a perfect OS." 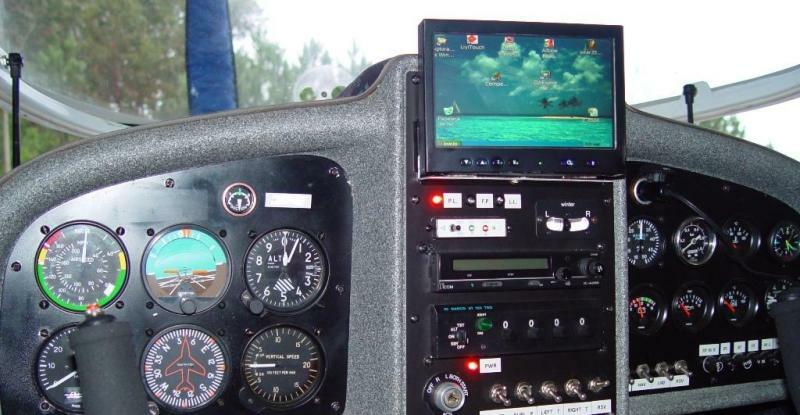 I just cold not believe it when I read this post at todoUMPC forum where Manuel Campos, a pilot from Spain, posted about a UMPC made by him to be used in his small airplane! This home made UMPC does not have only a exquisite design, it's loaded with a 7" touch screen, ITX M1000 motherboard, 512 MB of RAM, a 20 GB HDD and GPS Haicom USB. It's using Windows XP SP2. Just awesome! This is the first home made UMPC that really looks like a real UMPC! Bravisimo! Update: According to him, he spent less than 600 Euros in this "adventure". I know for fact that many battery bank owners use them incorrectly: Using the internal battery in their UMPC first and after that connecting them to the battery bank to have it charged again. By doing this you are getting less total battery life (Battery Bank + Internal Battery) in about 16% than if you connect your battery bank to your full charged UMPC and wait until it's discharged to start using the battery from your UMPC. I asked one of my readers at todoUMPC to run two tests: One starting to use the UMPC, once it's discharged connect it to his battery bank and once the battery bank is discharged to use again the UMPC. And here is the result: 330 minutes. After that I asked him to run another test, using the Battery Bank until it was discharged and then use the internal battery of his UMPC, this time the total battery life was 391 minutes. As far as I know, this is the first time these tests have been done even when many including me theoretically were recommending to use the battery bank with the UMPC full charged to get more battery life from the battery bank. PD. is no it good to have a personal translator telling about all these interesting things that are happening at todoUMPC - the biggest forum about UMPC after OrigamiProject.com? BTW, the Second Issue of todoUMPC Magazine is coming mid March with more pages and a very interesting Interview that will be posted here in English! Steve at OrigamiPortal has received some drawings of a UMPC that could be in the market soon if somebody likes the design and make it. I really like the amount of buttons on this device, the 7 inches screen and this new design that allows you to have the UMPC laying on your desktop and the screen in a comfortable angle. That means that you will be able to write on this device using this keyboard with a Keyboard Speed Coefficient of about 0.8! As you can see, Vista has a better graphic performance than XP. One interesting point, the result when the test is run on battery shows Vista with 2.5 better performance than XP, and this probably shows partially why the battery life shorter than what XP gave. The Power Saving Profile in Vista has been tweaked to have enough power to guarantee a good overal performance running Vista. Of course, the overall machine performance is not just dictated by the graphic performance but it plays a very important roll on it. In my experience if you disable many of those fancy features of Vista, this OS works as well as XP in UMPCs using Intel processors. I do not say all UMPCs because Vista processors do not support some DirectX features and as result the graphic performance in these machines is not good in certain tasks. Somebody has found a BT Drivers for Vista that works in Q1s. The driver is not coming from Samsung; but it works. Here is another site with some useful Info. A few days ago I opened a thread at todoUMPC.com (Spanish) about how to make your own stylus. 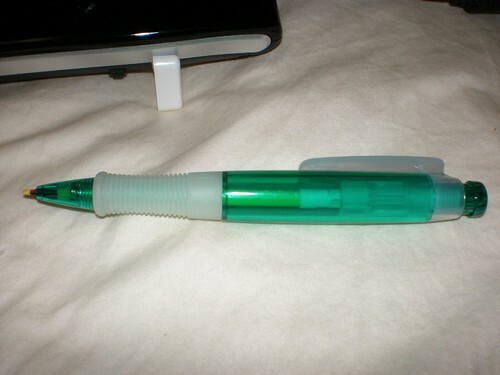 I wrote there about how I did it using a disposable poultry thermometer and and an old pen. I took a lot of pictures of the whole process so you wont need any translation to understand how I made it. But... that's not all. In that same thread my friend Domenec posted how he made one using a fishing line and a lead pencil! And guess how he called his invention: the fisherman stylus! One thing is for sure, they are more comfortable than the original stylus shipped with UMPCs and PPCs. Update: The fishing line that match a 0.7mm lead is the 50 pounds line. Thank you for contacting Samsung E-Mail Support. •To secure best performance and compatibility of your product, we would like to advise you to use the operating system that supports the drivers for you product. (consult Compatibility overview). •Under no condition Windows Vista incompatibility can be claimed as a product defect, product quality issue or improper performance of the Samsung product or Windows Vista operating system. •There are various operating system (like Mac OS, Unix, Sun OS, MS Windows XP or MS Windows Vista) on the market today. Inherently, each operating system will set specific conditions regarding compatibility. •Incompatibility is not a defect of the product (nor the operating system). It is solely a limitation of system convergence. The absolute cause of this limitation is not addressable to a specific product. It is a property or consequence of the set-up as a whole. 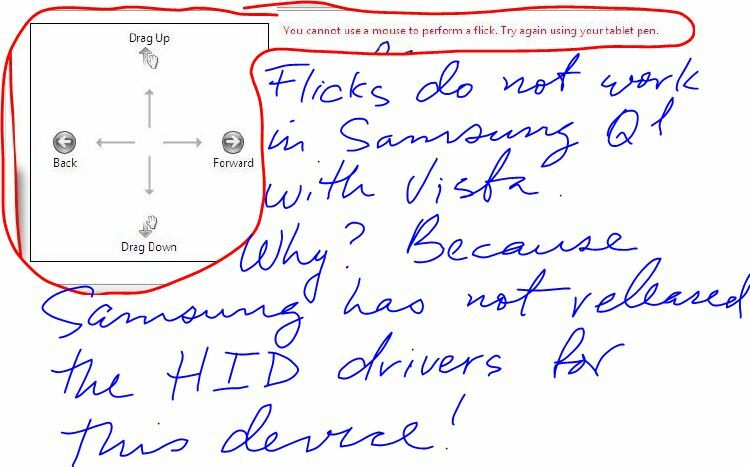 I really do not understand the words "incompatibility" when it's relative to products like the Q1 series because it's proven that Vista works in these devices. To me there is not anything worse than to know that you can use a new OS that is a lot better for your specific device and not be able to use it because somebody has taken that decision for you. This is something that you should check because probably you are affected and you don't know about it. You can find a Summary of all changes needed and what files to download here. Users with Vista Installed do not have to do anything. These changes affect users in Canada and USA. The Tablet PC and UMPC fan base is often referred to as a community. This is why I am reaching out to the online Tablet and UMPC fan base so that we can all respond in a unified front. Tabletkiosk has helped us in the past in many ways, including a recall of our devices when a problem was found in them. Now it's time for payback. Please, if anybody finds any eo UMPC or Sahara Slate PCs for sale which seem too good to be true, please let them know about it or just post it here! Ultramobilelife has posted a new video of the PlaceBlade Easybook P8N, a 8 inches Tablet PC using Windows XP Pro that could be a very good option for those looking for a Tablet PC of small size. This Tablet PC use the same processor used by the eo V7110 and it has a PCMCIA slot for those looking for this feature. Looking for away to synchronize your UMPC? Do not look no more and download Ultrasync. I have to say that I'm very impressed with the kind of support that Alltp brings to it's customers: seminars, newsletters, road shows and trainings! A week has passed since Vista BIG RELEASE WITH MANY WOWS and my readers are asking me WHERE ARE VISTA DRIVERS? What am I supposed to tell them Samsung? At least I have an answer from TabletKiosk saying that they are working on that. 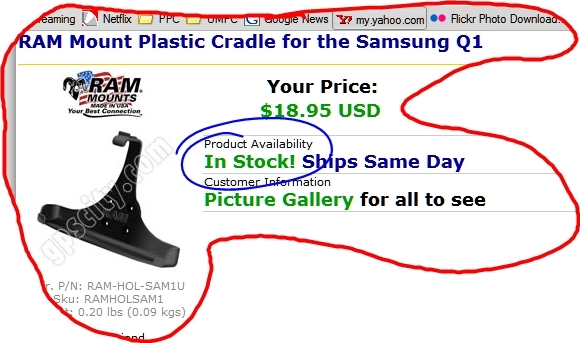 Keep in mind that Samsung and TabletKiosk's providers are in the other side of the planet, that means that a ship navigating in a calmed sea takes about 3 weaks to reach us, and do not ask me why not by plane because I do not know why things coming from that side of the world take that long to reach us. We have to TRUST OEMs. That's the message from Microsoft at this point. According to them, they have given to OEMs all that is needed for HID Drivers. But it seems to me that OEMs do not know what to do with that material. HID? Drivers? Vista? Money! You got my point, OEMs have hard time understanding the concept of multitasking... When they are releasing a new product the background task dies for the lack of resources. 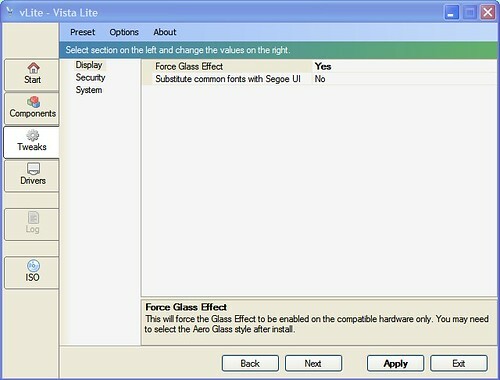 Today one of our readers pointed me to VLite, a freeware that allows you to customize your Vista Installation. I installed to check it and what I saw really impressed me. First of all you can get rid of anything that you may not want to install, like languages, games, etc. Secondly and very important you can add your own drivers. For example, you can add the default drivers that came with your UMPC and they will be installed instead of Vista drivers. 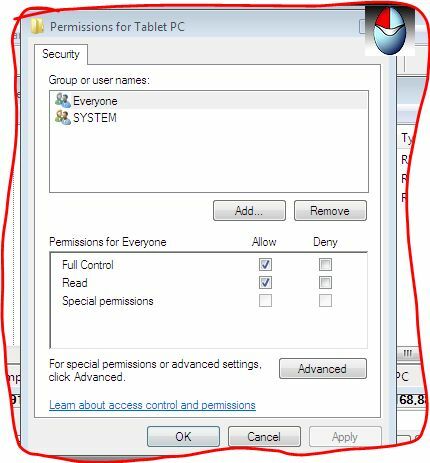 And the last thing is that you can disable certain features of Vista that you may not want like the User Control Agent. And talking about hacking in one of the screen you can see a hack to Force the use of Aero. I wonder if by selecting this we will be able to see Aero running in some of our UMPC. TORRANCE, CA, February 6, 2007 — TabletKiosk, a leader in mobile computing solutions, today announced the launch of the Sahara Slate PC i400 series, the company’s newest generation of Tablet PCs featuring both Active Digitizer (Pen) and Touch Screen input. Completely redesigned for 2007, the new Sahara series includes three models which share the same sleek exterior styling, technology platform, I/O feature set and full range of optional accessories. Professional, Windows Vista Business or Linux. For a more powerful touch screen solution, the Sahara Slate PC i440T features Intel® Centrino™ Duo Mobile Technology with an Intel® Core™ Duo LV L2500 processor, the same wide-angle view touch screen and also either Microsoft Windows XP Professional, Windows Vista Business or Linux. For maximum productivity, the Sahara Slate PC i440T is the most powerful slate style touch screen Tablet PC currently available. For the ultimate Tablet PC experience, the Sahara Slate PC i440D, powered by Intel® Centrino™ Duo Mobile Technology with an Intel® Core™ Duo LV L2500 processor, features a revolutionary new input screen that converts from a pressure-sensitive active digitizer to a resistive touch screen at the push of a button. The Sahara Slate PC i440D will be available with the new Windows Vista Business OS which elevates the existing Sahara Slate PC brand into new performance territory. Hugo has posted a video showing what is in his gadget bag... the one he is taking to China! According to news published at AVING USA site, Samsung presented in Seul "5-inch LED backlight unit for PMP-use during ICDL 2007(Int'l Conference and Exhibition on Display LEDs)." This is really a good news! ArtRage is a wonderful program and have it optimized for UMPC is really good. January 30, 2007 - ArtRage 2 for UltraMobile PCs (UMPC) Released! ArtRage 2 is now available in a version specifically designed for UltraMobile PCs. This new version of Ambient Design’s stylish and natural painting application has been enhanced to make it easier to use with small form-factor portable PC devices. For the ultimate painting and sketching experience ‘on the go’ ArtRage 2 for UltraMobile PCs gives you style and ease of use. UltraMobile PCs present two unique challenges to graphical software. Firstly the screen resolution is typically lower than a desktop or notebook computer. UMPC displays are typically around 800 x 480 pixels in size. This means there is less space to contain both the user interface as well as the working area of a project. And secondly UltraMobile devices are commonly used with fingers as input devices meaning the user-interface elements have to be larger and easier to press. Typically UltraMobile devices are used while they’re carried in the hand rather than being placed on a level surface, so it can be more difficult to press user-interface elements even when using a stylus on the UMPC screen. Increased the size of small UI elements: The smallest UI elements from ArtRage 2 have either been increased in size or made their ‘clickable area’ larger in the UMPC version. This makes them easier to press with fingers or a stylus. Controls and panels get out of the way: Panels in ArtRage 2 get out of the way while painting. In the UMPC version they more actively minimize when not being used, and leave a more easily clicked control to bring them back. Panels and controls hide when ‘Enter’ is pressed: UltraMobile PCs have an ‘Enter’ button mapped to a physical button on the front of the case. When this button is pressed while using ArtRage 2 all the User Interface controls and panels hide completely. So it’s very easy to work with all the panels and controls visible with one button press, but hidden completely while you’re working. This leaves the entire display surface available for painting and sketching. All the features of ArtRage 2 Full version! : ArtRage 2 for UltraMobile PCs has all the tools, features and style of ArtRage 2. There has been no compromise on features! ArtRage 2 for UltraMobile PCs is also still only US$19.95 to purchase! For more information about ArtRage 2 for UltraMobile PCs including full features, screen shots, and comparisons with other versions of ArtRage: http://www.artrage.com/artrageumpc.html. ArtRage 2 for UltraMobile PCs is currently only available in the English language versions, for Windows XP operating systems. ArtRage 2 for UltraMobile PCs is recommended for use on small form-factor portable devices with a display resolution around 800 x 480 pixels. 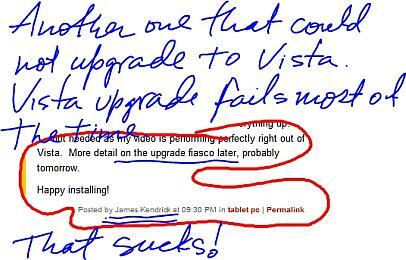 Vista upgrades fail miserably most of the time. I'm very disappointed. I could not upgrade my Q1; but I have not perform a clean install yet. 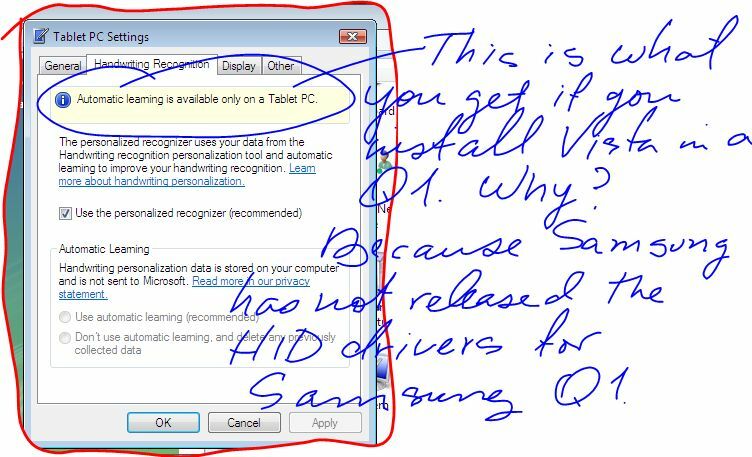 I still waiting for Samsung's Vista Drivers and BIO. In Vista things got a lot better with [digital] ink and speech but by the next release there will be a much bigger bet. Students won't need textbooks, they can just use these tablet devices. Parallel computing is pretty important for the next release. Parallel computing... UMPC... sounds to me the same! Do not you think? The new Origami Team as posted a Quick Introduction! I have to say that's nice to see that Microsoft is not abandoning completely the UMPC boat! Oscar, one of the members of this new team is asking the community for what we want to see next. I don't know you guys, but what I really want to see is more tutorials about how to get the most we can from our UMPC running Vista, more efficient drivers, Windows Movie Maker running in Vista (it was running in XP so I don't see why it can't run now in Vista), etc. Oh and I forgot to mention more efficient drivers for our UMPC including HID Drivers. I know that that's OEM responsibility but I have seen many 3rd parties drivers in my life and if somebody can make them that's Microsoft. In his peculiar way Hugo Ortega has published a video review about the Toshiba R400. Do not miss it! Good Luck Origami Team in your new project. In reality, you are the first Victim of Vista. You did a good job with Origami Experience but having Media Center in Vista Ultimate more or less you can do almost the same than what OE brings to users. The rest of features included in OE are not "must have". They were there in the old version of the Touch Pack and many of us never used. Sorry but this is the reality. Cruel. Microsoft does not need your team to evangelize the world about what is a UMPC and what are the advantage of it. That's the second point. Bloggers are doing that already and... for free! This is the reality... Cruel. The good point is that you still at Microsoft and you have now a new project, probably as good or interesting as the Origami Project was at the beginning. So I which you all the best from the bottom of my heart. Without your team opening the eyes of the world we would have been in the same place where Sony was with it's U series 2 years ago. Your team has opened a space in the market right between Pocket PCs and sub notebooks that was not there and everybody want it there. Bravo Origami Team!